The official announcement states that the “iconic characters” from the franchise will use their unique abilities and powers to fight crime and defend the city, but they can also be modified by visiting Edna Moe, though no further info on that feature has been released. 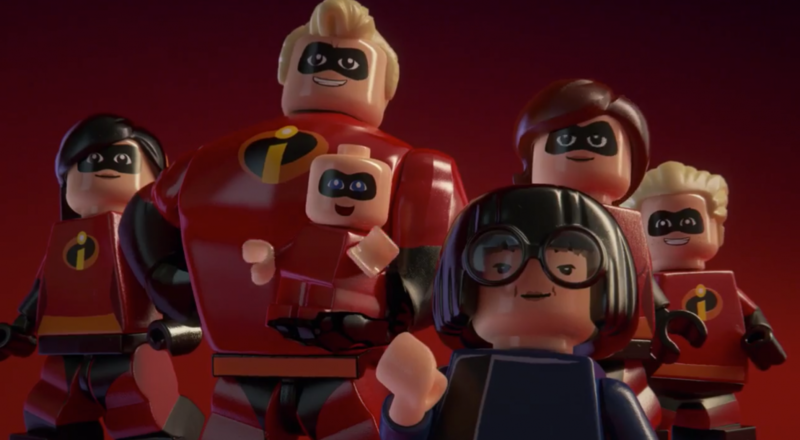 With couch Co-Op being the only aspect of gameplay confirmed we are left to assume that LEGO: The Incredibles will be like other superhero-based Lego games. In previous titles different powers change the game’s dynamics so it's likely this title will be in a similar vein. However, there has never been a Pixar-based Lego game so what cameos of other Pixar series could show up and whether or not this will be a continuing trend has yet to be seen. The announcement trailer can be found below. Are you looking forward to The Incredibles 2, both in theaters and on your favorite gaming platform? Let us know in the comments below! Page created in 0.7873 seconds.